Last week we reported that overclocking could be coming to locked Intel Skylake processors soon. Today this has been confirmed, as Asrock has released a BIOS update that allows you to adjust the base clock speed of your processor, even if it's restricted. The SKY OC update currently only works on motherboards with Intel's Z170 chipset. However Asrock says that more motherboards should be expected to support the update soon. Asrock claims it has achieved a 19 percent boost on a Core i3-6100, a 32 percent boost on a Core i7-6700, and a 36 percent boost on a Pentium G4400. According to Asrock, there are two "almost unnoticeable" limitations when using SKY OC to overclock your non-K Skylake CPU. Firstly, Intel integrated graphics will be disabled, so you'll need to install a graphics card. Secondly, CPU Turbo Ratio and C-State will also be disabled. 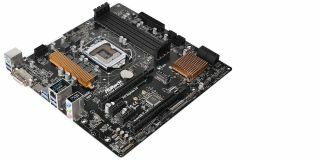 The full list of supported motherboards and download links for each of them can be found on Asrock's website. MSI has also released a test BIOS on the HWBot forums that enables the same non-K overclocking support. Needless to say, if you want to ensure a trouble-free installation and stable system, it makes sense to wait a bit for this one to get an official release.